What do Oakland public school cafeterias have in common with some of the trendiest restaurants in the Bay Area? When school opens next week, the Oakland Unified School District (OUSD) will start serving organic ground beef sourced from Mindful Meats, a Point Reyes Station-based purveyor of beef that comes exclusively from retired dairy cows. It's the same beef whose gourmet qualities have earned the praise of some of the Bay Area's top chefs. OUSD's new beef dishes — a taco and a beef chili — are part of the district's "California Thursdays" school lunch initiative, a statewide program launched last year with the goal of bringing locally sourced, freshly cooked food to participating districts on a weekly basis. For OUSD, it will mark the first time in many years that students will be able to buy a scratch-made ground beef dish at school. And for that beef to come from such a high-end, gourmet source seems like a remarkable boon. But according to Mindful Meats founder Claire Herminjard, the story of her company is an environmental story as much as it is a foodie story. Herminjard, who studied public policy and global resource use, said she first came to the meat business as a customer hoping to find a "worry-free" source of beef. "I was concerned about how we're going to survive in the long-term as a planet and as a species in a happy, viable way," she explained. 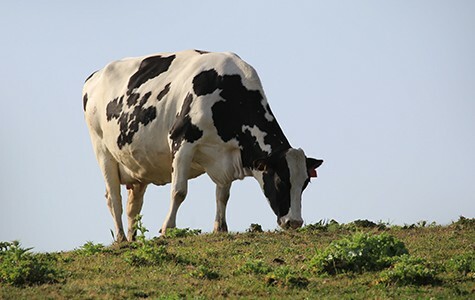 Eventually, Herminjard's research honed in on a segment of the beef industry that seemed to be greatly underutilized: older dairy cows that could no longer be used for milk. 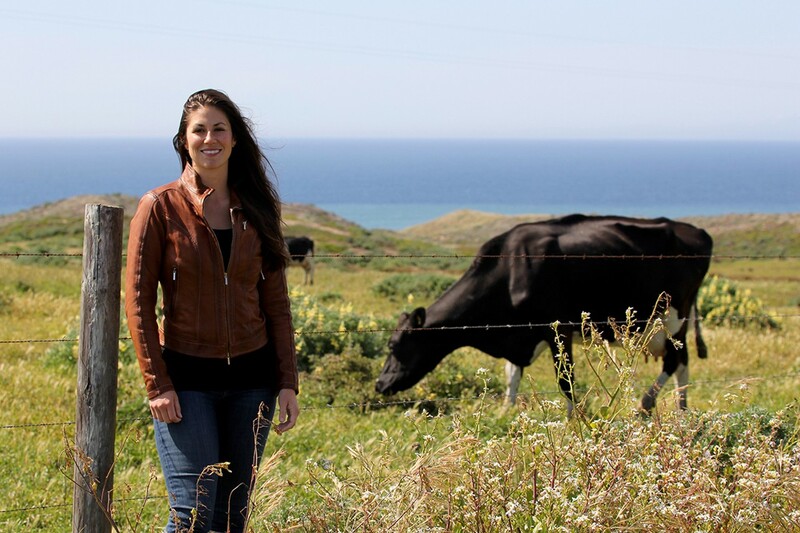 What she discovered surprised her: Once they "retire," organic dairy cows are typically sold to be used as meat — but mixed in at auctions with conventional dairy cows. No one, apparently, was offering organic dairy farmers a better price for having raised their animals sustainably, on open pastures. She decided to do something about it. The dairy cows that are slaughtered to be sold by Mindful Meats are about five years old on average, and they taste good — often even better than the younger steers that dominate the market, according to Cliff Pollard, Mindful Meats' chief operating officer. Pollard said that's because older cows develop better intermuscular fat (aka marbling) and thus better flavor — a viewpoint that seems validated by the handful of well-regarded Bay Area restaurants that serve Mindful Meats beef, the most prominent of which are probably KronnerBurger in Oakland and Bar Tartine in San Francisco. And yet Herminjard found that the beef industry as a whole appeared to be biased against beef from old cows — in part, she believed, because large-scale beef companies wouldn't want to pay the higher costs associated with raising cattle beyond a certain age. 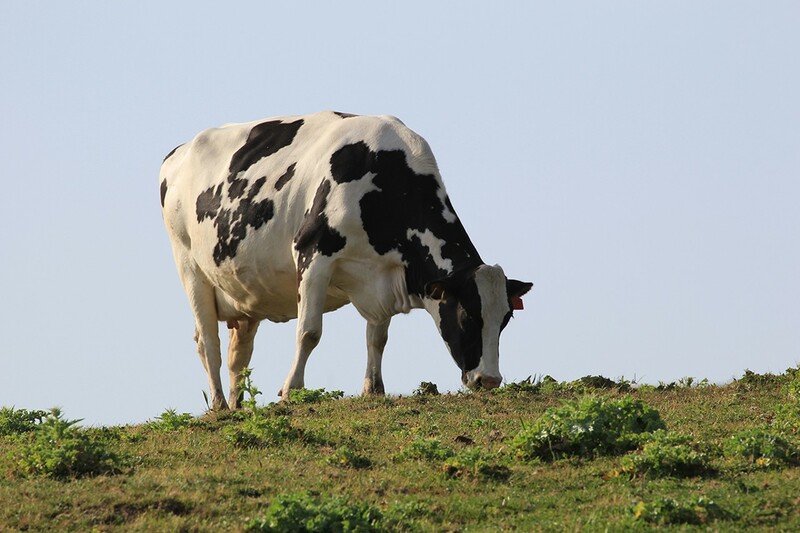 From an environmental perspective, though, Herminjard felt the benefit was clear: The amount of water you'd normally need to raise a cow for meat could now be used to get both milk and meat. Meanwhile, Mindful Meats' founding in 2011 dovetailed with OUSD's own search for a local source of "clean" beef — one part of the district's recent, highly touted school lunch reforms. When the district initially reached out to the company, school officials were somewhat skeptical. The biggest concern, of course, was cost. Mindful Meats beef isn't inexpensive; the ground beef that OUSD is buying sells for $9.99 a pound on Amazon Fresh. But Herminjard said that because of her interest in food justice, she has made it the company's practice to offer school districts a sizable discount — as much as 30 to 40 percent off, depending on the item. Even with the hefty discount, tight budget constraints have required OUSD's recipe designers to come up with creative ways to make organic beef a viable option. For now, Mindful Meats beef will be served once every three weeks or so on California Thursdays — either as a beef and bean taco or a beef and bean chili with tortilla chips. Amy Glodde, the district's menu planner, explained that OUSD's budget is only $1.25 per meal — an amount that must cover the cost of milk, a fruit, and a vegetable, in addition to the entrée. Even though the district spends more than that for California Thursdays (making up the difference with less expensive meals the rest of the week), those are daunting constraints. Both of the district's beef recipes bulk up their protein content with beans — but even then, Glodde estimated that the beef in the chili recipe costs about $0.38 by itself. Serving an all-beef burger probably wouldn't be feasible, then, but OUSD has discussed the possibility of adding Mindful Meats hot dogs to the menu. According to Glodde, one of the district's most challenging tasks is yet to come: marketing the California Thursdays beef entrées in a way that encourages a greater number of students to choose the healthy, environmentally friendly option. Pre-adolescents and teens are a tough market if there ever was one, but Glodde said she got at least a few votes of confidence when OUSD first tested its new beef recipes back in May. The verdict, according to one high school student: "The chili is on point."